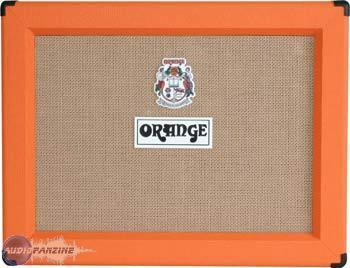 PPC212OB, 2x12 Guitar Cabinet from Orange in the PPC series. imathieu's review (This content has been automatically translated from French)" I love it!" Its clear or saturated sound is perfect! Passing to clear arpeggios as the big sound! The cabinet is heavy I used flight case if farewell my back! I would do this choice without hesitation! vintage911's review (This content has been automatically translated from French)" Good value for money"
I use the 2x12 for about two years. I use it in addition to another mesa 2x12 rectify that is my main speaker at outdoor concerts or you can put the potato! I have not tried many other speakers before buying this one ... it had everything I was looking for. Of Celestion Vintage 30, a very reasonable weight compared to a closed back and over a mesa. His side, it's not bad ... it lacks a little bass compared to a mesa or orange closed back which is normal since open back and a quality of wood a little less than an Orange made in England. The violin is very different from English orange ... just lift to realize. It lacks a few folds of wood to make a difference. This clearly impact the quality of sound. But again, in addition to my mesa, it goes a lot .. mixing the two speakers mitigates the effect of compression of the mesa and I like it well. That said, the lower it goes .... but still can not compare to a closed back. If I had to make a choice, I will take the baffle still good value for money. GtrYann's review (This content has been automatically translated from French)" just perfect"
I plug after a Marshall JCM2000 DSL 100 and sends it! for me it is the ideal cab! 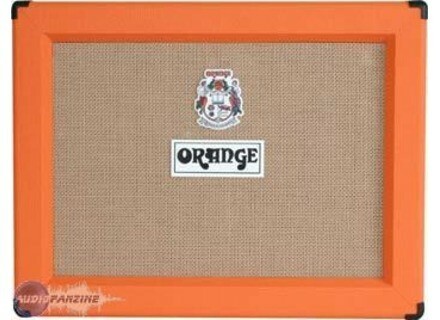 and besides the look is really cool when you appreciate the orange lol! BENADA's review (This content has been automatically translated from French)" PPC212 OB"
I've had more than 1 year. The PPC 212 OB is lined in the same manufacturing these cousins! The sound is more airy due to the open bottom rear. Necessarily less than PPC412 low, but much lighter. This cabinet has a very good record. Price level and use, I would do the same choice. Having tried many speakers, I prefer the strength and definition of this brand: ORANGE. course, one can always find more: NOS, Custom Audio Amplifier, Mesa Boogie, but we want to put more than 1000 € in a cabinet!! Finally, I would say that the sound is in the fingers and it is especially important to know the sound you are looking for.